Just because our Ram vehicles are used doesn't mean they're lacking in quality. Come visit Golling Chrysler Dodge Jeep Ram in Bloomfield Hills, Michigan to feast your eyes on our wide selection of pre-owned Ram pickup trucks and cargo vans! 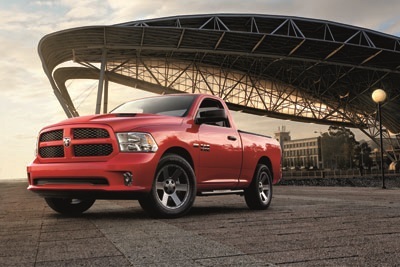 That includes the impressive Ram 1500, a light-duty pickup ready to help you on the job site or by saving on fuel costs. The Ram 3500 gives drivers a truck capable of working as hard as they do, while the Ram ProMaster is ideal for any hauling and towing that requires a roomy cargo van to make happen. Learn more and see our fleet first-hand today at Golling Chrysler Dodge Jeep Ram! Find a used Ram model at your local Bloomfield Hills, MI Ram dealership. At Golling Chrysler Dodge Jeep Ram in Bloomfield Hills, MI we're committed to giving you a car-buying experience worth coming back to. From the moment you enter our showroom, we'll help you find a car that doesn't just fit your lifestyle, but also stays within your budget. Visit our convenient location in Bloomfield Hills, MI today to test drive any of our certified pre-owned cars or used Ram vehicles! With help from our finance team, Golling Chrysler Dodge Jeep Ram in Bloomfield Hills, MI has your back when it comes to saving you the most on a quality used Ram vehicle. Our seasoned team will work with your credit history, get you a payment estimate before you sign, and accurately assess your trade-in value to ensure you're getting the best deal. Get the conversation started today at Golling Chrysler Dodge Jeep Ram.